by John Chen I know what you are thinking. Yes, really. I’ll explain why. Email today remains as one of the top methods of getting traffic to your site, and of course, converting that traffic into customers and subscribers. But, conversion rates can be better. 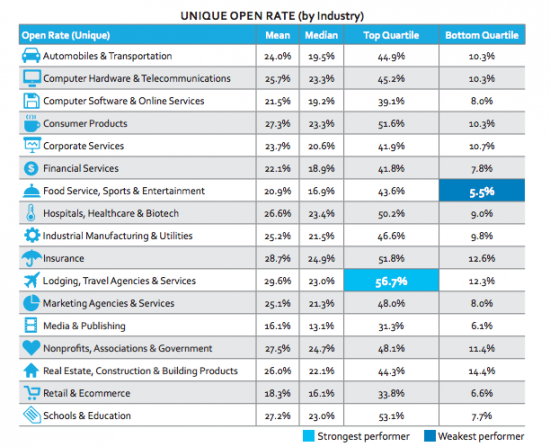 In case you are totally new to email marketing, Unique Open Rate simply means the percentage of receivers of email who are opening it for the first time. In other words, it’s the first point of contact with your email. 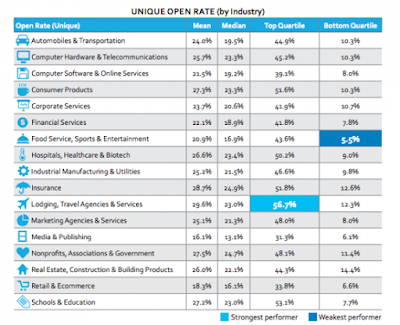 As you can see from the above data, the average Unique Open rate hovers around 23%, which means an average of about 1 out of 4 people will open your emails, depending on the industry that you work in. 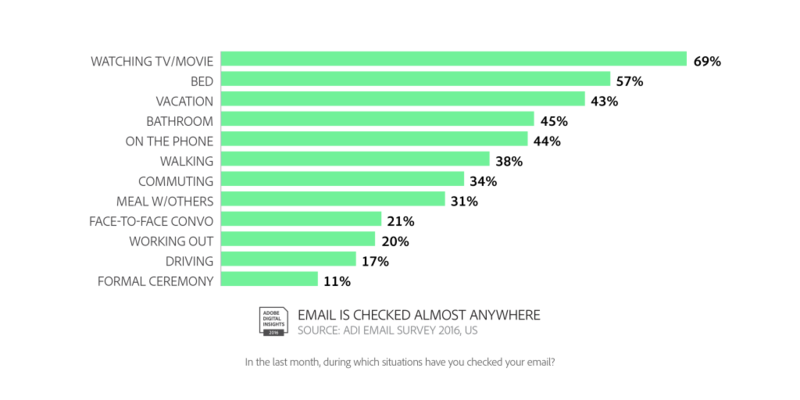 If you’re in the Food and Beverage industry, I’m sorry to say but your open rates are the lowest out of all the industries captured. But, not to worry. This post will help you out. You can, if you follow the steps that i’ve laid out in this post. How can branding improve my open rates? Branding, by definition, is a collection of different features, personalities and character of a brand that makes it represent something in the eyes of its consumers. In other words, think of your brand as a human. How would you describe your brand? Is it a he or a she? How does he/she talk? What tone of voice does he/she use? And so on. You get the point. 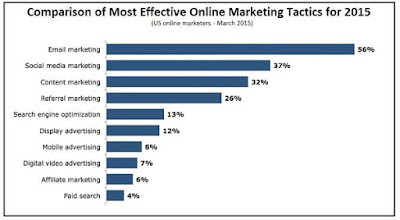 At the core, Email marketing is an extension of your brand communications. It is like your brand’s heart to heart session with your reader, just as you would talk to a friend. In this article, I will outline specific steps that you can take right now to improve your email branding, and significantly improve your unique to improve your email branding, and significantly improve your Open rates. We need to brand up our email marketing. Because when it comes down to it, email marketing consistently outperforms each of the different marketing activity out there in the market. In short, emails are the main form of communication that you should focus your efforts on, if you want to succeed online. I’ve ever had a client that was in the consulting space send out emails specifically only during late nights. And we’re talking 10pm to 12am in the nights. While that might have worked for some people, it didn’t for him. His open rates were horrendous (around 0.7%), and that client got flamed quite a few times by pretty angry subscribers. Lesson learnt: When it comes down to email marketing, be very sensitive about the time that you send an email. With everyone being so stuck on their phones, it means that they no longer have the luxury of turning away from your messages, unless they’ve switched off completely. And we all know, we don’t ever turn off our phones. Yes, almost everywhere. Since it’s safe to assume that everyone is on their phones for the majority of their day, you’ll want to be extra careful what time you send your messages. According to an article by Coschedule, they found out through conducting 10 studies that the best day to send emails are between Tuesday and Thursday. GetResponse also found that the peak inbox activity happens on Thursday. Learning point: schedule your emails to be sent on either Tuesdays or Thursdays. Furthermore, a study conducted by Email Monday in September 2016 found that late mornings are the peak time for using email apps on smartphones. 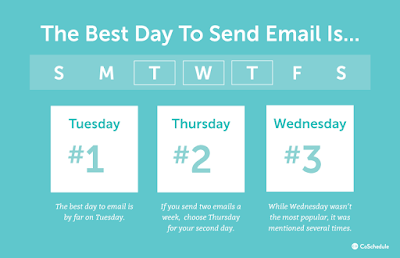 That means that the best time that you should schedule your emails might be around 9.30am – 11am, for maximum open rates. Finding your audience’s preferred times. Another trick that you might be able to use is to find out where your audience comes from, then trying different techniques and times that fit their habits. This is where software like Sendlane can help, with a little feature called Optimized Timing that caught my attention. Basically, this nifty feature helps you to find the best timings to send your emails, through tracking the different open patterns and habits of your each of the subscribers in your list. What this means is this: If Subscriber A opens an email in the morning, then Sendlane will then send the email to them in the morning, and vice versa, if Subscriber B tends to open emails more often at night. To start using Optimized Timing is simple. 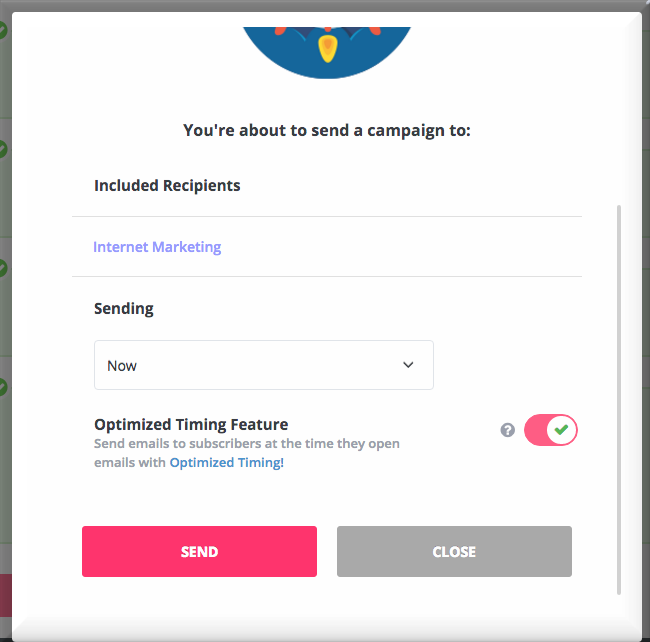 Simply create an email campaign as per normal, and then, at the final page, click on the Optimized Timing feature, then click on Send to use the feature in your campaigns. By using technology to understand the pattern of opening emails by your readers, it’s easy to increase your conversion rates with the touch of a button. The next step to take to brand your email the right way is to get your subject line right. Why? Because the subject line is the first thing that your readers see when they receive your email. In other words, your subject line is the thing that stands between a converted reader, and the trash bin. Do you feel something weird happening inside your brain? That feeling of disbelief? That’s the effect that bad branding can have on your readers, if you get your subject lines wrong. But how can we write really great subject lines? Obviously, the first thing that you should always make sure your email campaigns get right is the relevancy that it has with your brand. Remember the Louis Vuitton example that we talked about earlier? Is this email relevant to my brand image? If I am receiving this email for the first thing, what’s my initial impression of the email, and the brand that wrote it? In terms of email design, is the design too complicated, or is it just nice? Is my brand supposed to be sophisticated, or should it be plain? Does my email reflect that impression on others? What do you when you open up your email? That makes reading really long subject lines hard, and the tendency for us to just chuck the email into the bin is that much higher. Whenever possible, try to concise your message down, and condense what you are trying to say as best as possible. Typically, from my own experience, keeping my subject lines below 50 characters work quite well for my email marketing campaigns. Is there a way that I can best summarise the gist of the email, using as little words as I possibly can? Another great branding method that I like to use for my subject lines is to use powerful, emotive words to spice up the mood a little. Adding powerful words not only captures the attention of the reader, but also serves to create curiosity in your email. For a list of power words, you can use this list that I’ve found here. If you’re not a Literature student (like I am), then you probably have not heard of alliteration. It’s a technique that copywriters use to capture the attention and engage the reader in text. Basically, alliteration is applied when two words next to one another start with the same alphabet: “sizzling sales, red republic, snazzy snaptactix”. Why is alteration so useful in subject line branding? Because there’s a hint of rhyme in it, and it naturally sparks the interest of the reader. It’s simple. You can’t sell meat to a vegetarian (like myself). If your subject line isn’t relevant to the lead group that you are targeting, then you can have the best subject line in the world, but it still won’t convert into sales for you. To make sure that your subject line is relevant, make sure that you segregate your email list properly before sending them any emails. A marketing software like Sendlane is useful here, since it allows you to create and send to different lists as you allocate. Is this subject line valuable to the person receiving it? What would their reaction be when they see this subject line? Even if they don’t convert, what would be the impression be that they have of my brand? How does this subject line make me feel? Would I want to open the email after reading the subject line? Does the subject line promise any benefit from reading the email? Am I curious about what’s inside the email after reading the subject line? This should be a no-brainer. The last thing that you’d want your reader to think when they open your email is to see that you’ve made an empty promise. Using subject lines like “this can change your life” is a big promise to make, and you’d want to be sure that you know what you are doing when you send bold statements like that. 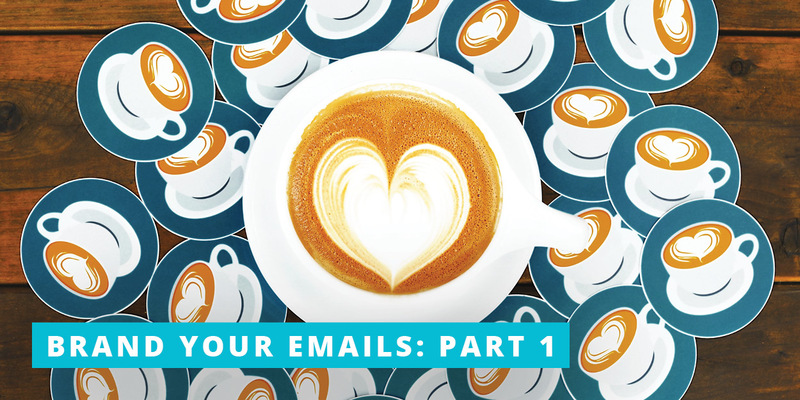 That does it for Part 1 of the 5 Step Checklist for Great Email Branding! While it’s important that you setup your Email Marketing sequence, you should always bear in mind the different experiences that your customers and prospects go through in the overall content funnel. After all, the customer experience journey is not just about a single email, but a collection of experiences that add up to the customer’s expectations and desire for your brand. What other methods of great email branding tips did I miss out? Would you like to recommend some ways of great email branding, and how it has worked for you so far? Leave your comments down below! I read every comment.